Green National Playing Cards are Made in the USA using FSC-certified paper derived from sustainable forests, vegetable-based inks, and starch-based laminates. They're green - and eco-friendly! 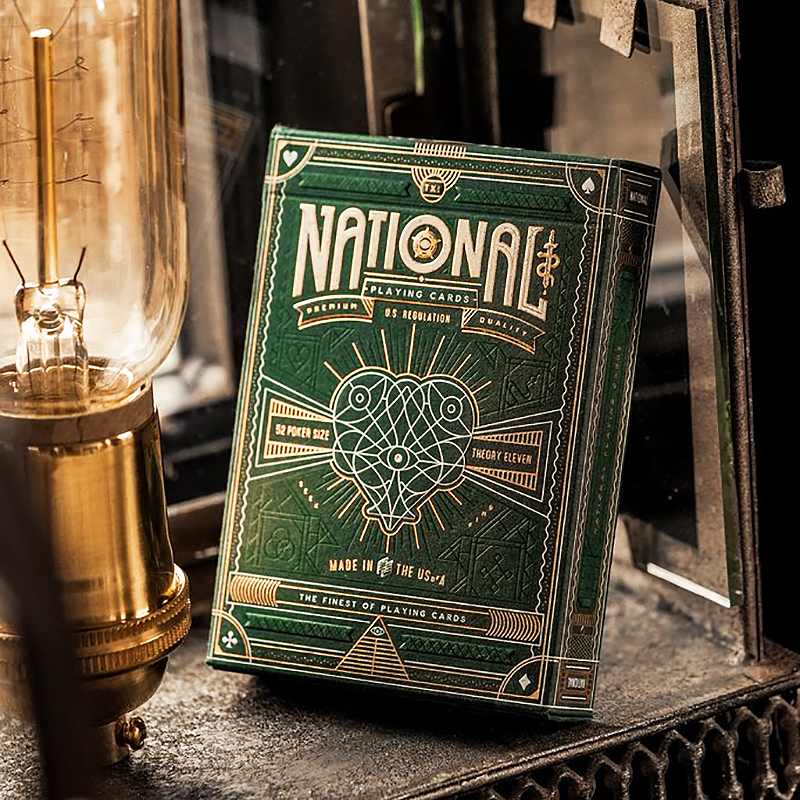 Shielded in Gold and Green Foil Green National Playing Cards were inspired by mystery and the pursuit of power. Each tuck case is embossed and detailed with striking gold and green foil, inside and out. Elegant, Intricate Gold Foil The tuck case, and the cards within, are all made in the USA using FSC-certified paper. Mysterious symbolism and elegant, playful imagery shield the cards inside - with breathtaking, intricate art by Harold Apples. Completely Custom Faces and Backs Every aspect of the Green National deck was designed from scratch - even the Aces, Jokers, and court cards are filled with vibrant, colorful illustrations. • The cards are poker size.